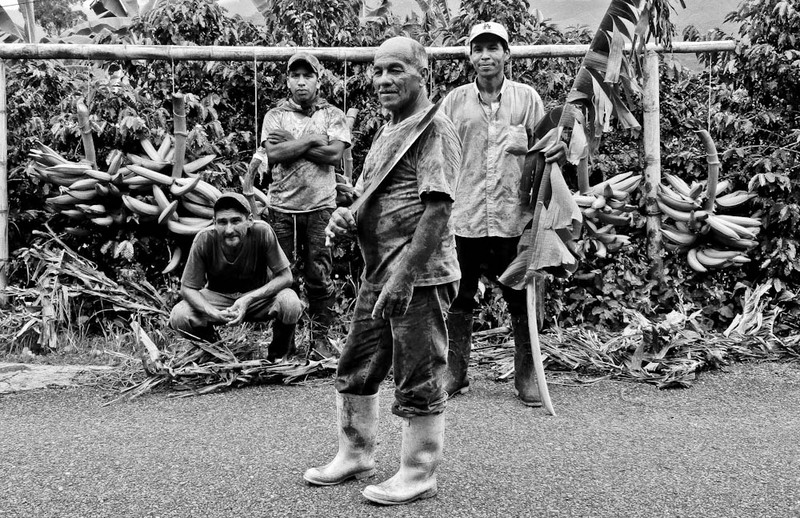 These Colombian Farmers were found on my recent road trip to the coffee region in Colombia, I haven’t talked about that trip in length yet but plan on giving out the details of my itinerary as well as my 1st trip around Colombia. These farmers were found on my way back from a finca (farm house or house in the country) near the city of Armenia, Colombia. We were driving back after taking pictures and having breakfast with a Macaw Parrot and these guys were busy attending to the crops. We asked them if we could join in and take pictures and they were nice enough to pose for us as well. I hope your ready to see what I did with that machete.